In this episode, Adron talks with Aaron Mahnke, the creator, writer and narrator of the LORE podcast. Lore explores real life scary stories, examining disturbing historical events and how they intertwine with folklore and the origins of superstition, all delivered in an engaging, creepy narrative. Lore episodes are short and tight, but densely packed with atmosphere and ideas, bringing to life very human stories with decidedly bizarre circumstances. Released in early 2015, Lore rocketed up the iTunes podcast charts, claiming a huge following in a very short time. Apple recently named it as part of their iTunes Best of 2015. And by the end of the year, Lore became Aaron’s full-time job and primary source of income. 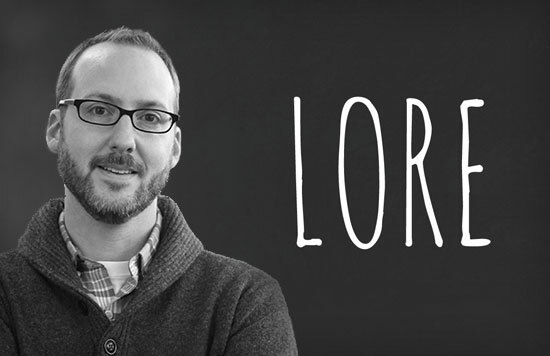 In this podcast, we discuss the creation of Lore, its unexpected rise in popularity, and how his background as a supernatural thriller author and small web design studio owner informed his work and business decision making. We explore how Patreon and sponsorships drive the income for Lore, how he balances projects, and when to make a new endeavor your full time job. Aaron is smart and very savvy, and other creatives looking to launch products or endeavors based on their works would do well to examine his balance of story output with business acumen.